In case you’re not happy with the software keyboards that are currently available on iOS and Android, you may want to find out that Microsoft is seemingly getting ready to release a keyboard of its own on both platforms. We’re talking about World Flow, which, at the moment, is available only on Windows-based devices, as well as on the Microsoft Band. According to an email revealed by Windows Central (sent by Microsoft to select members of the Windows Insider program), the Redmond company is “working on extending” Word Flow “to other platforms, starting with iOS.” Almost certainly, by other platforms Microsoft also means Android. It remains to be seen exactly when Microsoft will be ready to release Word Flow on iOS and Android. Word Flow (pictured above) is a swipe-to-type keyboard that kind of resembles SwiftKey – one of the most popular third-party keyboards that Android and iOS users can currently download. 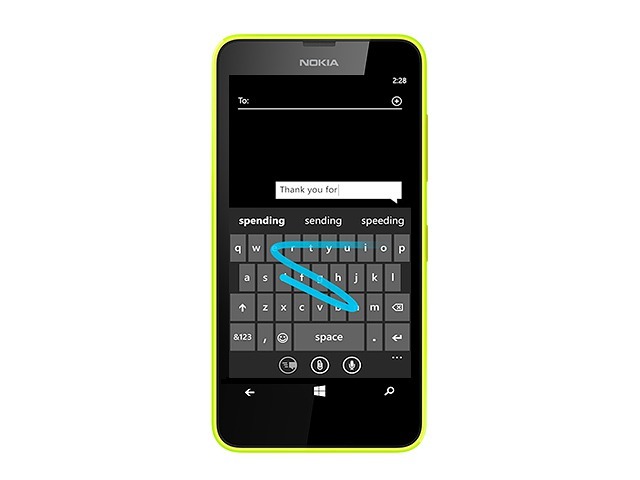 Microsoft’s keyboard can easily suggest words and correct misspellings. Back in April 2014, Word Flow was used to set a Guinness world record for fastest texting on a touchscreen display. Since then, the record has been broken by Fleksy (which is available only on Android and iOS).